Raleigh Real Estate started as an early version of a planned city. It was designed around the state capitol at its center. It was incorporated as a city in 1792. The city suffered little structural damage during the civil war, but they had to rebuild emotionally along with the rest of the south afterwards. In 1959 Raleigh’s North Carolina State University was nicknamed the Research Triangle along with Duke University in Durham and University of North Carolina at Chapel Hill in Chapel Hill. The jobs created by the triangle brought many more people to Raleigh Properties. The city is still the state capitol today and enjoys a rich cultural, educational, and artistic environment. Raleigh Homes have the Apex Community Park nearby. Here residents can fish on the lake or have picnics while the little ones enjoy the playground. Fitness trails and athletic fields are available. The park is open from 6:30am to 10pm in the summer and 6:30am to 8pm during the winter months.Visit the Apex Site online for more information. Homes for sale in Raleigh are also close to Bass Lake Park and Retreat Center. Open all year from 8am to sunset, they offer free bank fishing, hiking trails, and a wildlife observation platform. There is even a nature library, conference room, and environmental education center. Visit the Bass Lake Park Website for details. 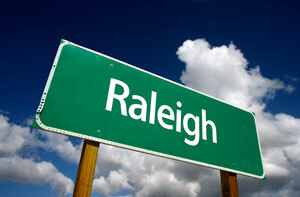 The Raleigh Home Buyer will find numerous attractions within the city. History buffs will love the North Carolina Museum of History. They feature exhibits on the state’s military history, their sports figures, and the arts. The museum is open from 9am to 5pm Monday through Saturday and 12pm to 5pm on Sundays. Visit the North Carolina Museum of History's website to for information about family events, special programs, and scheduled crafts. Your Raleigh Real Estate Agent will point out the local performing arts such as the North Carolina Symphony. Their performances are extraordinary events for all. Visit the North Carolina Symphony's website for a schedule. Families looking at Raleigh Homes for sale will enjoy all the kids’ activities and attractions nearby. Places like Frankie’s Fun Park have something for all ages with go karts, bumper boats, miniature golf, and amusement rides. Mom and Dad can sit back and relax at the restaurant and full bar while the children have fun. 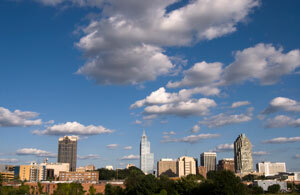 Real Estate in Raleigh is the home of many annual events that both visitors and residents look forward to. 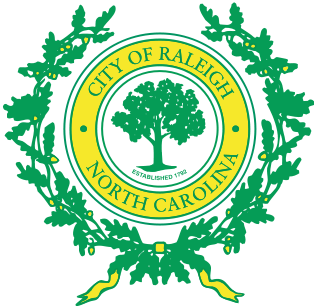 Visit the Visit Raleigh Website to find a complete calendar of these events. Concerts, culinary arts, historic sites, and the holidays provide entertainment for all. First Night Raleigh is a perfect example. Residents start the New Year with an all day and all night festival for the entire family. Go to the First Night website to find out how you can get involved. First Night Raleigh 2014 from Artsplosure on Vimeo.